Jaeggle wasn’t just a radio listener, he was a radio collector. 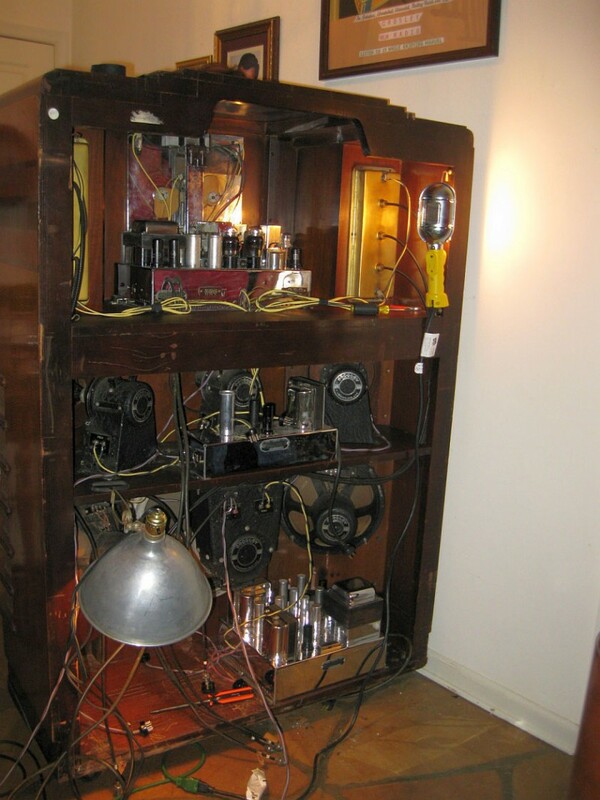 He bought his first cabinet radio from an auction as a pre-teen, and over the decades amassed a huge collection. “He spent many hours torturing his family with the screeches, whines and whistles of accurate restoration in an ever-shrinking house full of radios,” Susan recounts, with a laugh. Jaeggle died on Dec. 8, 2014, at age 72. Almost three years later, his family has put his radios and gramophones up for sale Oct. 28 at Able Auctions in Abbotsford. Sam Garandza of Able has never sold anything quite like it. Many thanks for the tip, William! Thankfully, I live too far away from this auction to attend, else I’d be tempted by these beauties! This entry was posted in News, Shortwave Radio, Vintage Radio and tagged Antique Radio, auctions, Vancouver Sun, Victor Jaeggle, William Lee on October 28, 2017 by Thomas. 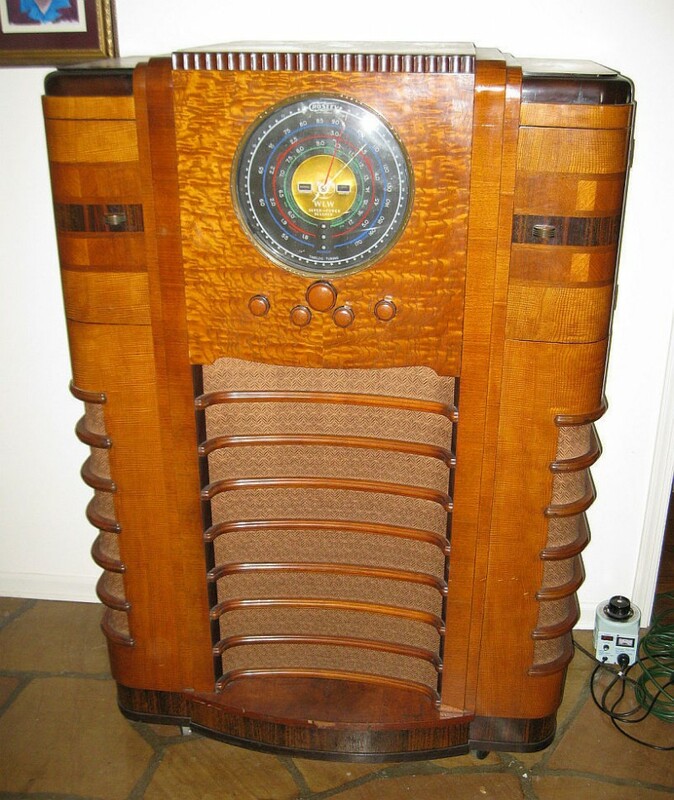 This entry was posted in News, Nostalgia, Radio History, Radios, Shortwave Radio, Videos, Vintage Radio and tagged Antique Radio, Crosley, Crosley WLW Model Super-Power Radio Receiver, Videos, Vintage Radios on April 7, 2016 by Thomas. I’m not sure if my radio is a ‘benchmark’ but it sure is close to it. 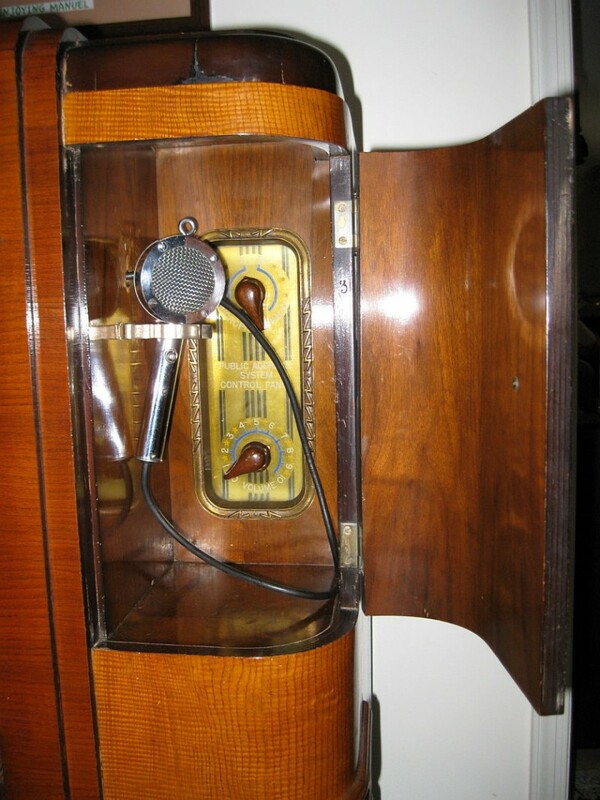 It is the E. H. Scott Philharmonic Beam of Light console radio. Mine appears to have been built in 1939 or early 1940. It has 30 tubes, most of which are covered by chrome-plated shields. The power supply/amplifier (4 6L6’s in the output stage), receiver, 15″ speaker and cabinet easily weigh over 150 pounds. It took me two years of occasional work (I am retired so I don’t rush) to get it going and working reasonably well. I had to replace over 100 capacitors and correct some B+ voltage problems left by a previous repair person. None of the knobs are correct (mine came without them … 9 required) and replacements are difficult to come by (and quite expensive when they do appear). When receiving a strong station the volume is such that it would easily drown out anything within 100 yards (and with no distortion). Oh, the first time I powered it up and received a station they were playing Light My Fire (The Doors, I think). Appropriate. I put a video of it on YouTube. The radio is all apart as I was still working on it at the time. Now that is serendipity, Ken–I mean, the first music you hear after restoring this beauty is Light My Fire? Brilliant! The E. H. Scott Philharmonic Beam of Light is a benchmark console by any standard. 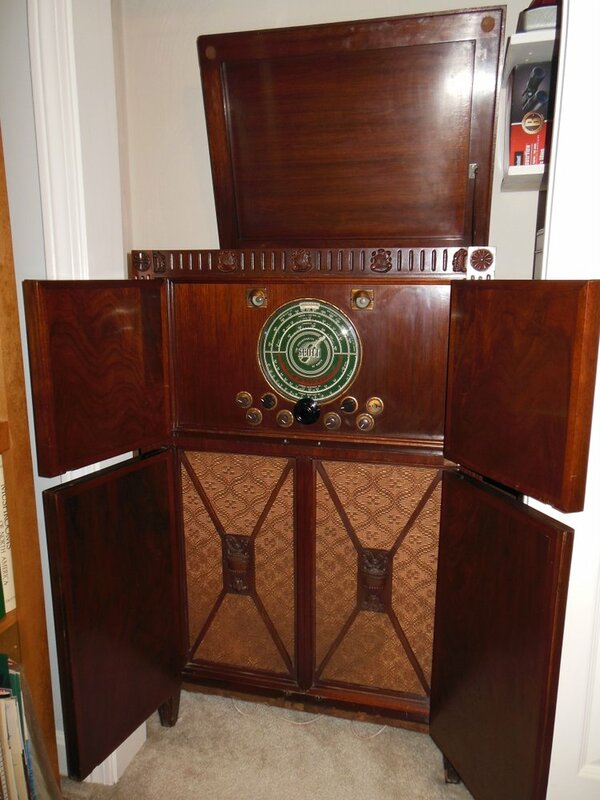 I first learned about this radio through a local classified ad–the owner was selling the internal components (and original knobs) but had no cabinet. I believe he was asking $1200. The chrome plating is such eye candy, I can see why some owner in the past removed it from the cabinet to save space. Still, it was a shame the cabinet had been discarded–as one can see from your photos, the craftsmanship is simply stunning. Ken, thank you for taking the time to share the Beam of Light console with us! Post readers: you should check out Ken’s blog, Idlenot.com, where you’ll find more vintage radio and classic cars! 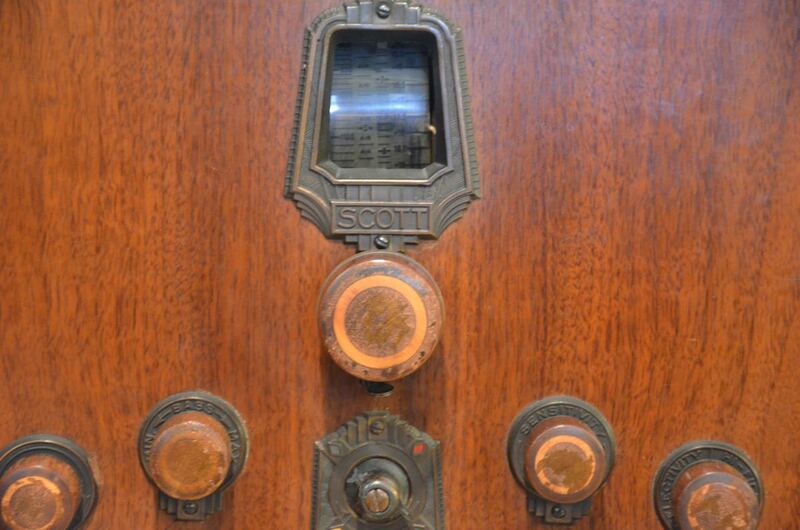 This entry was posted in AM, Articles, Guest Posts, News, Nostalgia, Radio History, Radios, Shortwave Radio, Vintage Radio and tagged Antique Radio, Console Radios, E. H. Scott Philharmonic Beam of Light console radio, E.H. Scott, Ken Carr (KE1RI), Vintage Radios on April 5, 2016 by Thomas. 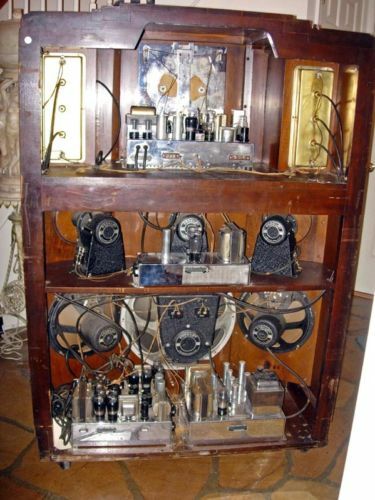 […]Out of the numerous [engineering conferences were held throughout the winter months] and Crosley’s imagination came the basic specifications: the radio would be a superheterodyne receiver with no fewer than 30 tubes, six loudspeakers, four chassis; a suitably impressive cabinet would house it. More intricate than any set ever built, it would naturally have the highest possible quality and richness of tone. […]In its completed form, the WLW Model Super-Power Radio Receiver indeed surpassed the Zenith Stratosphere model. It had 37 tubes, six speakers, and 75 watts of power. 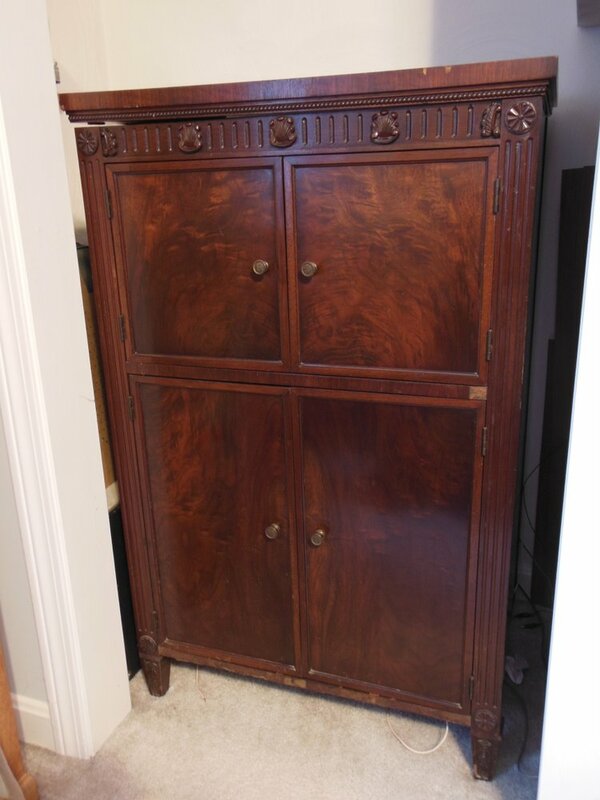 The cabinet stood 58 inches tall, 42 inches wide, and 22 inches deep. 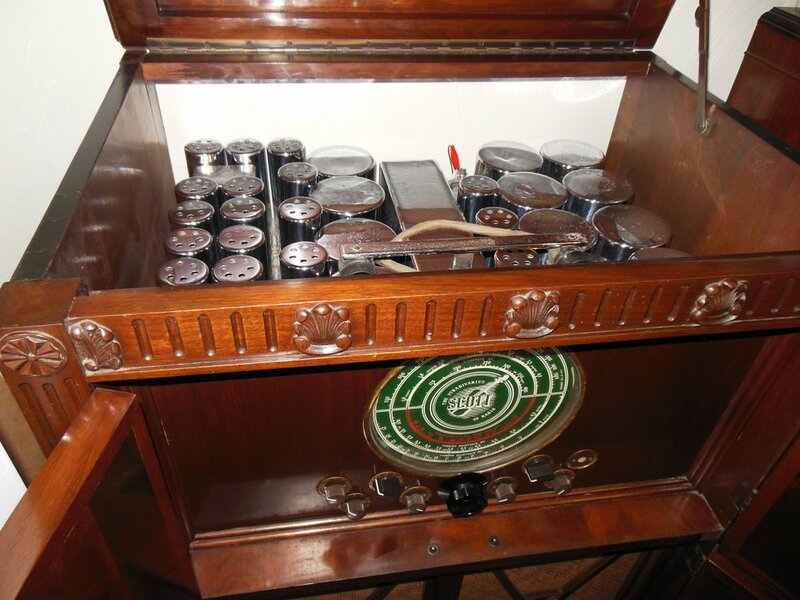 Everything inside the cabinet that could be was chromium-plated. The transformer coils, tubes, and speaker frames were finished in black and each chassis had its own serial number plate. Regular SWLing Post readers know that I’m a bit of a vintage radio nut, so I thought I’d do a little digging to see if any WLW Model Super-Power Radio Receivers had been sold or auctioned recently. I was curious what sort of price they’d fetch. 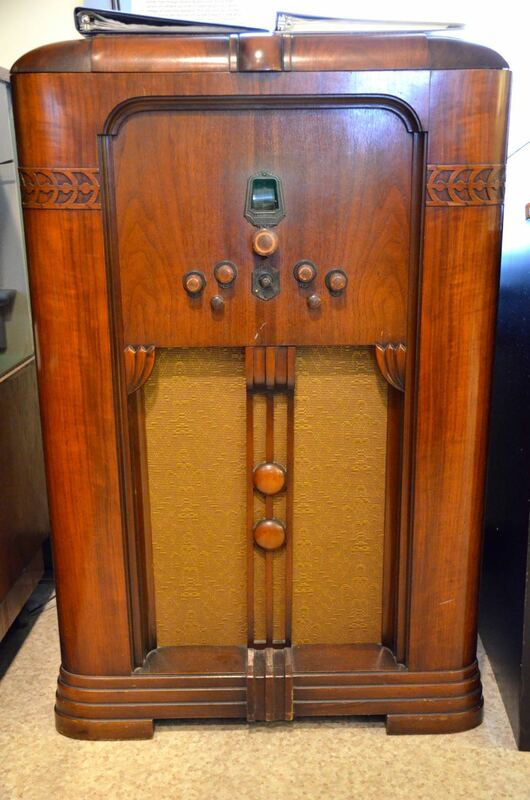 Around the time of the Zenith Stratosphere and the Crosley WLW–the mid to late 30s–radio manufacturers must have either believed there was a market for these high-end, high-fidelity receivers, or they simply enjoyed designing and manufacturing them as a company benchmark or showpiece. While not as feature-packed as the Crosley WLW receiver, at the National Capital Radio and Television museum last year, I was completely enamored with this gorgeous powerhouse console: the E.H. Scott All-Wave 23 console. The docent told me that the E.H. Scott All-Wave 23 console could easily fill a banquet hall with hi-fi audio. 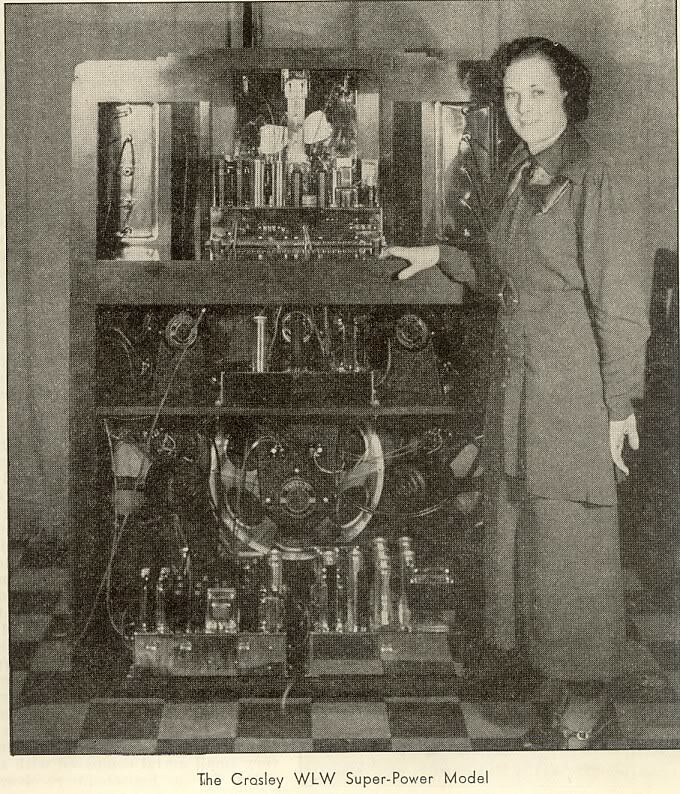 It sported 23 tubes and a very large speaker. 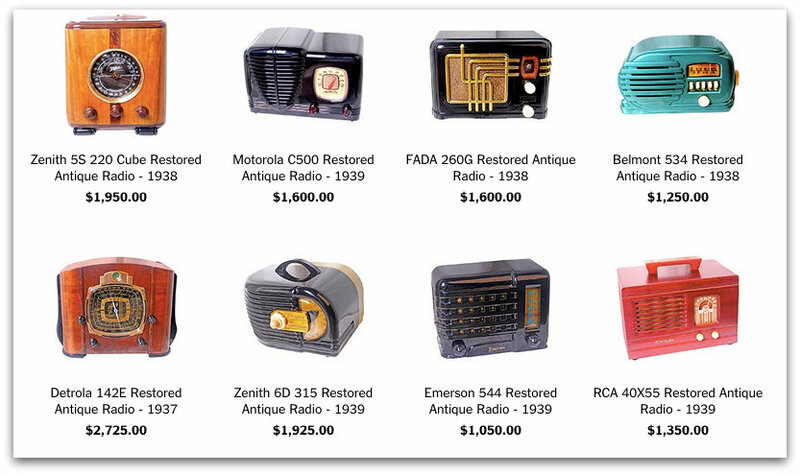 If memory serves, it originally sold for $750–easily three or four times the price of most console radios. Post readers: Do you know of any other benchmark console radios? Do you own one of these amazing receivers? Please comment! 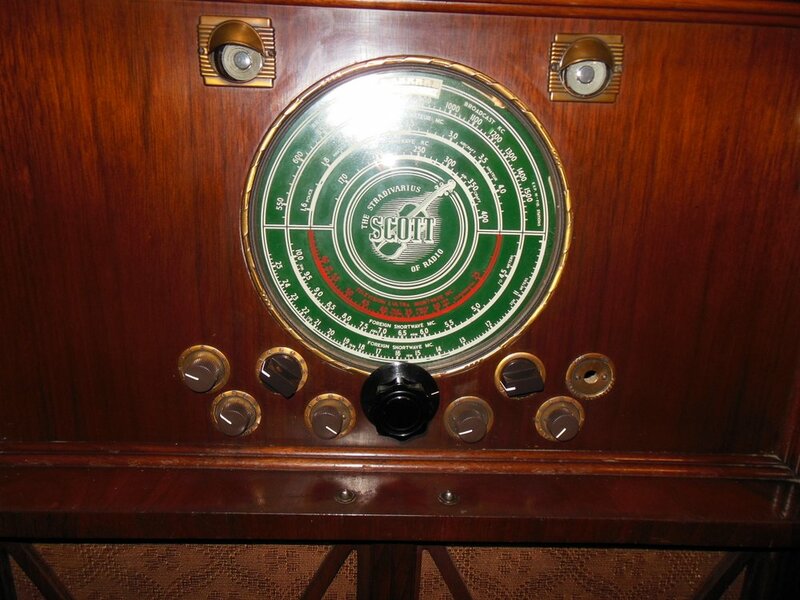 This entry was posted in Manufacturers, News, Nostalgia, Radio History, Radios, Vintage Radio and tagged Antique Radio, Console Radios, Crosley WLW Model Super-Power Radio Receiver, E.H. Scott All-Wave 23, Zenith Stratosphere model 1000Z on April 3, 2016 by Thomas.